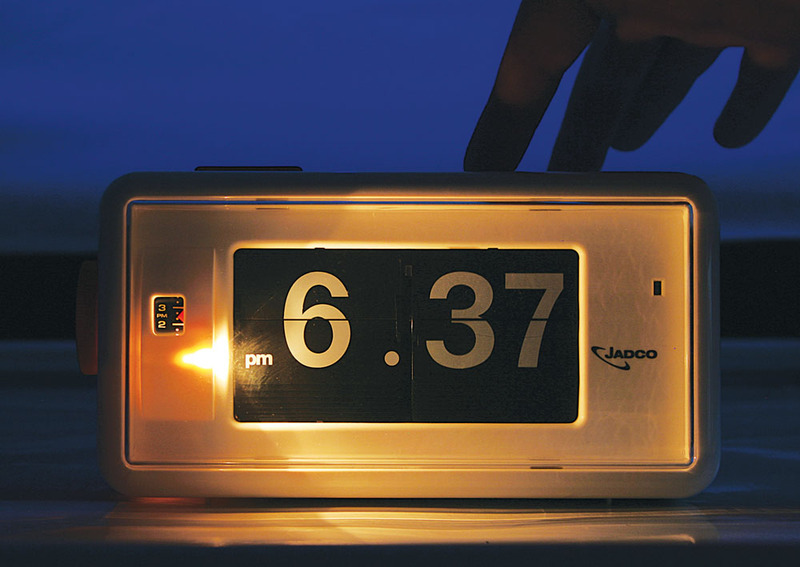 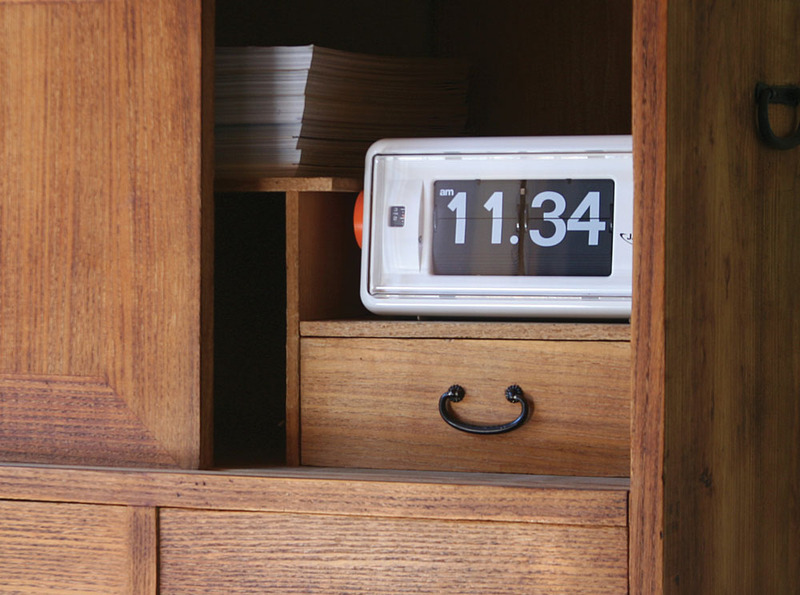 Compact Bedside Alarm Clock. 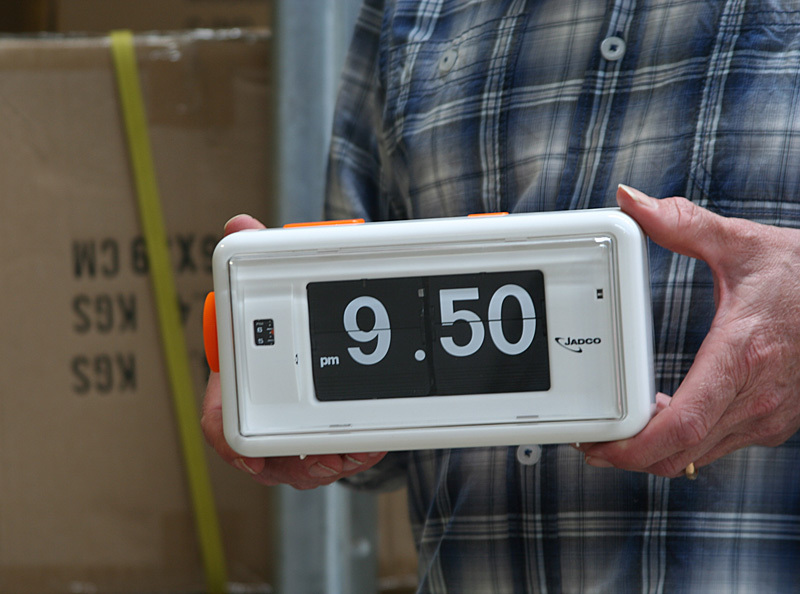 Powered by 1 C-size battery means there is no hassle of resetting the time when the power goes out. 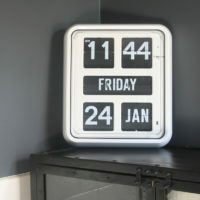 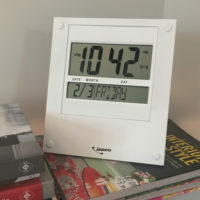 Uncomplicated functions include a rotating dial to set the alarm, large coloured button to turn off the alarm and a central button to turn on a back-light. 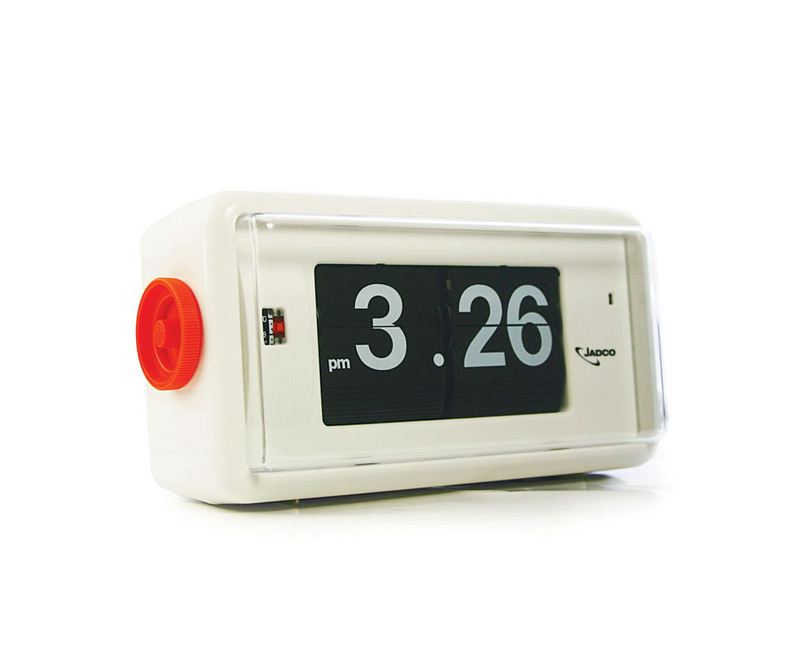 The reliable German Quartz flip-card movement has a 12 hour display with AM/PM indicator.